Quick and easy plant protection! 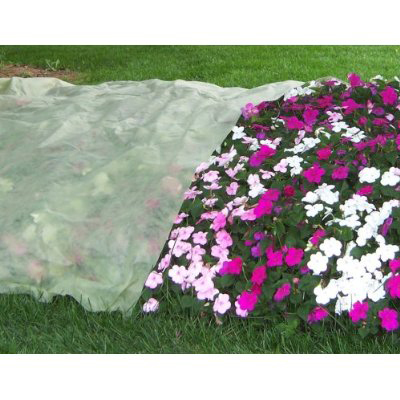 When the forecast says frost, protect your plants with new Frost Shield plant covers. Instant, effective protection goes on and comes off quickly and easily. 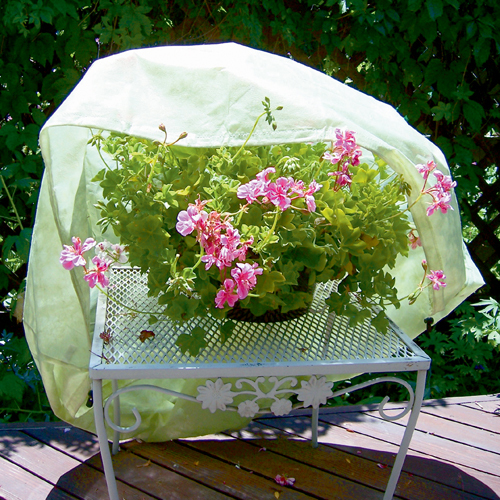 Lightweight Frost Shield won't hurt your plants, even if it has to stay on for days at a time. Like a mini-coldframe, Frost Shield can extend the growing season, so flowers in containers and hanging baskets bloom longer. 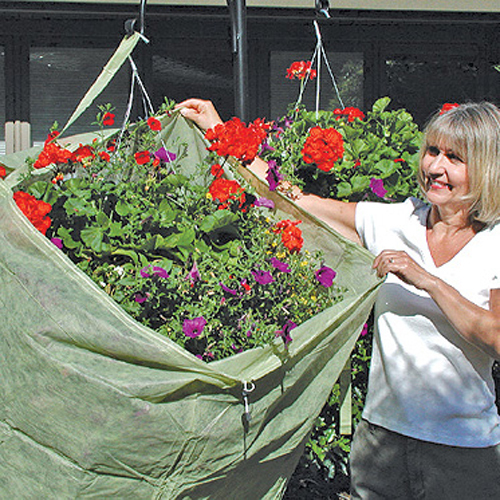 Just drape the cover over one or several plants and pull the drawstring. Much easier than moving heavy containers! 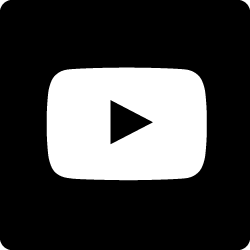 Measures 64" circ. x 14"h.
This versatile season extender is also available in other size options.